A witness reported that “he saw the arresting officer pull Bland out of the car, throw her to the ground and put his knee on her neck while he arrested her.” In the video, Bland can be heard questioning the officers’ methods of restraint. She says: “You just slammed my head to the ground. Do you not even care about that? I can’t even hear.” She was then arrested for assaulting an officer, a third-degree felony, and interned at the Waller County, Texas, jail. On July 13, she was found dead in her cell. Quite unbelievably, the police reported that she took her own life, and the Waller County Jail is trying to rule her death a suicide. Friends and family say that this scenario is inconceivable, given what they know about Sandra: She was a young woman starting a new job, who was eagerly looking forward to her future. Bland’s death over a routine traffic stop is beyond monstrous. It is indicative of a country where extreme violence is the norm – a society fed by the legacy of slavery, Jim Crow, the incarceration state, the drug wars and the increasing militarization of everything, including the war on Black youth. There is more at stake here than the fact that, as federal statistics indicate, the police are “31 percent more likely to pull over a Black driver than a white driver”: Routine traffic stops for Black drivers contain the real possibility of turning deadly. This regular violence propels a deeply racist and militarized society. It is a violence that turns on young people and adults alike who are considered disposable. This type of harassment is integral to a form of domestic terrorism in which Black people are routinely beaten, arrested, incarcerated and too often killed. This is the new totalitarianism of the boot-in-your-face racism, one in which the punishing state is the central institution for both controlling poor people of color and enforcing the rules of the financial elite. How much longer can this war on youth go on? The United States has become a country that is proud of what is should be ashamed of. How else to explain the popularity of the racist and bigot, Donald Trump, among the Republican Party’s right-wing base? We celebrate violence in the name of security and violate every precept of human justice through an appeal to fear. This speaks clearly to a form of political repression and a toxic value system. Markets and power are immune to justice, and despise it. All that matters is that control – financial and political – serves soulless markets and the Darwinian culture of cruelty. How many more young people are going to be killed for walking in the street, failing to signal a lane shift, looking a police officer in the eye, or playing with a toy gun? 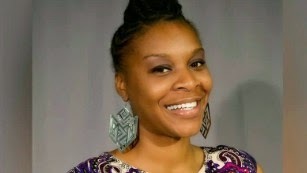 How many more names of Black men, women and young people will join the list of those whose deaths have sparked widespread protests: Trayvon Martin, Michael Brown, Eric Garner, Tamir Rice, Freddie Gray, Renisha McBride, Aiyana Jones and Sakia Gunn, among many others – and now, Sandra Bland. Is it any wonder that one funeral director in Chicago stated that “young people in the city do not expect to live late into their adult life”? 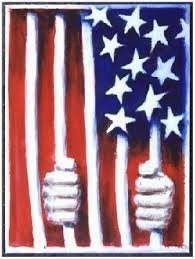 Moreover, police violence in the United States is not only a direct manifestation of state violence, but also serves as a gateway to prison, especially for people of color and the poor. Yet, the mainstream media is more infatuated with game shows, financial brutishness, celebrities and the idiocy of Donald Trump than they are concerned about the endless violence waged against poor children of color in the United States. This violence speaks clearly to a society that no longer wants to invest in its youth. And if one measure of a democratic society is how it treats young people, the United States has failed miserably. The form that the “war on terror” has taken at home is a war on poor people of color, especially Black people. Racism and police militarization have created a new kind of terrorism, one in which extreme violence is being used against Black people for the most trivial of infractions. The killing of Black youth by the police – a norm that stretches back, in an unbroken line of terror, to slavery – takes the form of both routine affair and spectacle. Nowadays, acts of domestic terrorism perpetrated by police take place increasingly in full view of the US public, who more and more are witnessing such lawlessness after it is recorded and uploaded onto the internet by bystanders. New technologies now enable individuals to record such violence in real time and make it a matter of public record. While this public display of the deployment domestic terrorism is undeniably crucial, in that it makes visible the depravity of state violence, these images are sometimes co-opted by the mass media, commodified, and disseminated in ways that can exploit – and even attempt to erase – Black lives, as William C. Anderson argues. In the current environment, racial violence is so commonplace that when it is perpetrated by the police against innocent people, justice is not measured by holding those who commit the violence accountable. The official measure of justice is simply that the presence of violence be noted, by the authorities and the mainstream media. Few of the most powerful people seem distraught by the ongoing shootings, beatings, and killings of African-Americans in a society in which a Black man is killed every 28 hours in the US by police, vigilantes or security guards. In a country in which militarism is viewed as an ideal and the police and soldiers are treated like heroes, violence becomes the primary modality for solving problems. One consequence is that state violence is either ignored, rendered trivial or shamelessly legitimated in the name of the law, security or self-defense. State violence fueled by the merging of the war on terror, the militarization of all aspects of society, and a deep-seated, ruthless and unapologetic racism is now ubiquitous and should be labeled as a form of domestic terrorism. Terrorism, torture and state violence are no longer simply part of our history; they have become the nervous system of an increasingly authoritarian state. Eric Garner told the police as he was being choked to death that he could not breathe. His words also apply to democracy itself, which is lacking the civic oxygen that gives it life. The United States is a place where democracy cannot breathe. This authoritarianism fueled by the mainstream press, which seems especially interested in stories in which it can (wrongfully) frame victims as assailants, as in the case of Trayvon Martin and Michael Brown, but is less interested when the old stereotypes about crime and Black culture cannot be invoked. When dominant forces cannot figure out a way to label victims of police violence “thugs” – consider the case of Tamir Rice, who was only 12 years old when shot to death by a policeman who in his previous police assignment in another city was labeled as “unstable” – such acts of state terrorism often fade out of the mainstream view. Why was there not a more sustained and mainstream public outcry over the case of Kalief Browder, a young Black man who was arrested for a crime he did not commit and incarcerated at the notorious Rikers Island for than a one thousand days – two years of that time in solitary confinement – waiting for a trial that never happened? Shortly after being released he committed suicide. Would this have happened if he were white, middle class and had access to a lawyer? How is what happened to him parallel to the egregious torture inflicted on innocent children at Abu Ghraib prison? Not surprisingly, the discourse of “terrorism” once again is only used when someone is engaged in a plot to commit violence against the government – but not when the state commits violence unjustly against its own citizens. What needs to be recognized, as Robin D. G. Kelley has pointed out, is that the killing of unarmed African Americans by the police is not simply a matter that speaks to the need for reforming the police and the culture that shapes it, but also for massive organized resistance against a war on Black youth that is being waged on US soil. The call for police “reform,” echoed throughout the dominant media, is meaningless. We need to change a system steeped in violence, racism, economic corruption and institutional rot. We don’t need revenge, we need justice – and that means structural change. Ending police misconduct is certainly acceptable as short-term goal to save lives, but if we are going to prevent the United States from becoming a full-fledged police state serving the interests of the rich who ensconce themselves in their gated and guarded communities, the vicious neoliberal financial and police state has to be dismantled. Such resistance has taken shape with the emergence of the Black Lives Matter movement, along with youth movements such as the Black Youth Project, Million Hoodies, We Charge Genocide and other groups. A new brutalism haunts America, drenched in the flood of intolerable police and state violence. Millions of people are being locked up, jailed, beaten, harassed and violated by the police and other security forces, simply because they are Black, Brown, young and/or poor, and therefore viewed as disposable. Black youth are safe neither in their own neighborhoods nor on public streets, highways, schools – or any other areas in which the police can be found.